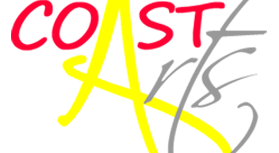 COAST Arts prides itself on primarily working with partners to support and deliver a diverse range of accessible art, music, literature, film and theatre events, workshops, talks and other opportunities across North Norfolk. Above all there’s something for everyone, all year round, and all at affordable prices. Moreover as a result of us being mostly volunteers most events are free. Here you will find quick links to submit your own event details for our new What’s On in North Norfolk page or to buy tickets for a varied programme. Listing your own event is free and in the first instance provides a central platform for all North Norfolk events which, most importantly, should avoid events clashing. As a result of listing your own event and browsing other peoples’ events, we hope you will be persuaded to get involved, not only in other events, but perhaps as a volunteer for COAST.